Sicily is a treasure trove of perfect seafood, intensely flavored vegetables, outstanding olive oil, and world-class wines. Its cuisine is different from any other Italian region. Strongly influenced by its many conquerors—from the Greeks, to the Romans, the Arabs, the French and the Spanish—the island’s food represents a unique crossroads of the Mediterranean. Expect hints of exotic spices like saffron and cinnamon paired with local ingredients—lemons, blood oranges, almonds, fresh capers, and wild mountain oregano. All of these, plus stunning island geography and a breathtaking tapestry of art and architecture that includes two of the best-preserved Greek temples in the world. This tour has been strategically timed to coincide with the wine harvest. Prepare yourself for new varietals that only grow in Sicily. Furthermore, grapes are grown in mineral-rich volcanic soil which impart interesting complexities. Simply put, Sicily’s wines are stunning. Since Sicily is Italy’s southernmost province and warmer than the mainland, early autumn is idyllic weather…still warm but not the oppressive heat of summer and without the hordes of summer-time tourists. SEPT 28: WELCOME TO SICILIA! Ortigia island is the site of the original Greek settlement in Sicily. Morning: The trip will begin in the romantic hill-top town of Taormina, located less than one hour from the island’s eastern Catania international airport. (Early arrival one or two days early is strongly suggested for this charming place, a mecca for celebrities and jet-setters, is the perfect spot to unwind from jet lag.) We’ll leave Taormina after breakfast, however, and begin our journey clockwise around the island. Our first stop will be nearby Mt. Etna to explore its complex wines at a top producer. Mt. Etna exerts a huge influence on Sicily’s entire weather, but its microclimate and soil exert a dramatic impact on its wines. Afternoon: Continuing our trek down the south-east coast, we’ll arrive in Syracuse, site of the original Greek colony in Sicily. Syracuse was the most important place in all of the ancient Greek world —it even defeated mighty Athens in 413 A.D. We’ll first visit the city’s marvelous Greek amphitheater. Built in the 5th century BC, it accommodated up to 15,000 spectators. 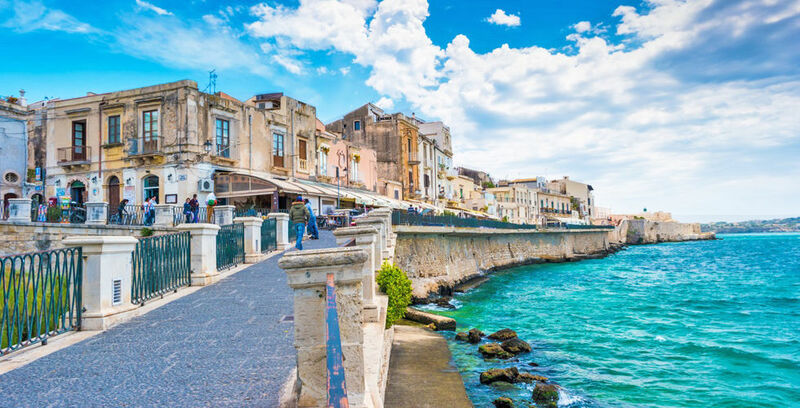 Then, we’ll check in to our hotel located on the enchanting island of Ortigia… a jewel box filled with Greek and Roman remains, along with medieval and Baroque architecture….all surrounded by the sea. Evening: Dinner at a restaurant known for innovative interpretations of Sicilian cuisine. 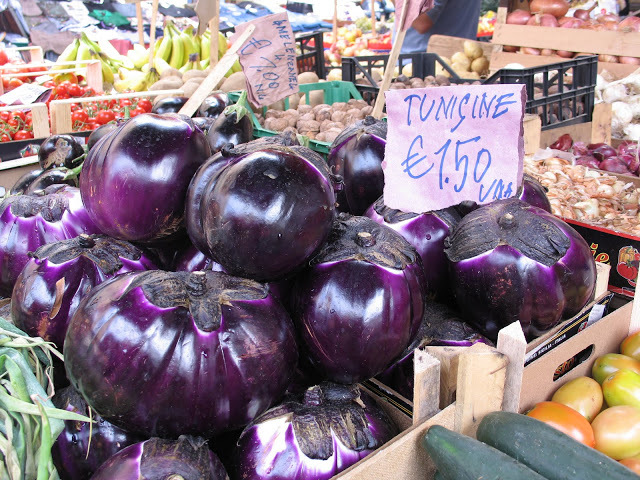 Sicily’s warm weather & volcanic soil produces vegetables like no others. Morning: We’re off to the island’s farmer’s market. Watch fishmongers cut up huge swordfish, marvel at the amazing eggplants & tomatoes, smell the fragrant lemons in all sizes and shapes, taste the glorious pistachios and almonds, and don’t miss the spice vendors selling a cornucopia of treasures reflecting the Arab, Greek and north African culinary roots. Sicily’s capers are the best in the world. We’ll learn the difference between capers and caper berries, as well as capers preserved in a brine versus salt. Last, we’ll taste sun-dried tomatoes preserved in olive-oil that are sure to knock your socks off. Evening: Tonight will be pizza at one of the island’s culinary shrines featuring this specialty. Pizza is an art form in Sicily! A cornucopia of regional specialties awaits. Morning: Next we journey to the town of Modica, the epicenter for Sicilian chocolate. Here we will visit the kitchen of the island’s most famous chocolate company for a tasting and demonstration. Afternoon: Private-tasting at one of Sicily’s premier wineries. This show-stopping vintner was awarded “Best Produce of the Year in Sicily” and the wines have received scores as high as 95 by Robert Parker. Then, onward to our stop for the next two nights, a drop-dead gorgeous wine-estate in a setting straight out of a James Bond movie. Evening: Dinner tonight we’ll be a private affair at the estate. UNESCO World Heritage now protects this ancient site. Morning: Breakfast will be a feast that includes fresh-squeezed juice from local blood oranges, homemade cakes and jams, along with local meats and freshly laid eggs. Next, we’ll visit the city most famous for its incredible ceramics. You may want to bring an extra suitcase as these ceramics are exquisite. Afternoon: One of the most spectacular sight-seeing venues on all of Sicily is a 4th century Roman villa that contains the richest, largest and most complex collection of mosaics in the world. The former hunting lodge of Roman Emperors, it was abandoned in the 12th century when a landslide caused by an erupting Mt. Etna covered it with 20 feet of mud. Excavations, begun in the early 20th century, are still underway. For mosaic and art lovers, it may not get any better than this. Evening: We’ll dine tonight at winery’s award-winning restaurant. The “farm” has now been turned into an upscale hotel. Late Morning: Our journey today takes us to another rock-star winery for a tasting and a memorable private lunch in its castle formally owned by royalty. 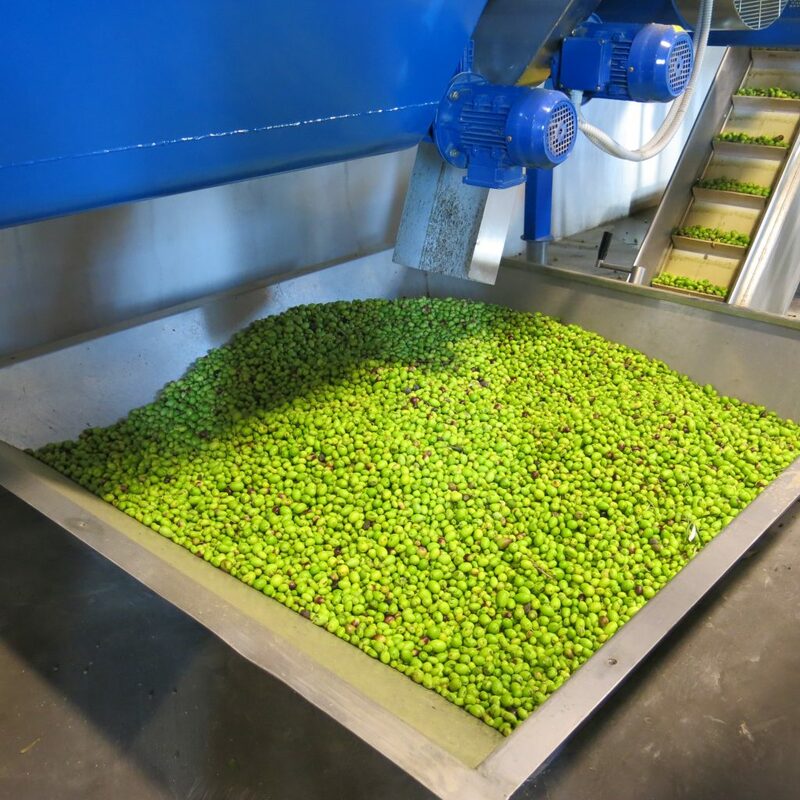 Afternoon: Next, we head to one of Sicily’s most important olive farms. Our home for the next two nights, the estate is still family owned and run. With a portfolio of international awards, their olive oil is used by many of Italy’s Michelin star chefs and gourmands in-the-know. Evening: Dinner at the estate’s outside terrace among the olive groves. The estate’s owners will personally guide us through the process. Morning: After a breakfast featuring home-made delicacies rarely seen outside of Sicilian homes, we’ll follow the making of oil from the tree to the bottle. Those who wish can actually participate in the picking of olives. We’ll finish with a tasting of their extraordinary oils. Afternoon: Free at the estate. There’s a pretty pool, as well as hiking trails. For those who simply want to chill, there’s plenty of comfy areas to relax. But, don’t get too relaxed as you might miss the cooking class given by the owner of the estate where we’ll learn how to make one of her treasured family recipes. Evening: Dinner at the olive estate on the terrace among the olive groves. The perfect pairing with world-class cuisine. Morning: Today we travel further west along the island’s southern coast. We’ll stop for a lunch break in the seaside town of Sciacca. Founded in the 5th century BC by the Greeks, the spa town of Sciacca became famous for its hot springs. Afternoon: Not far away is one of Sicily’s most revered wineries— it has been producing wine for 17 generations. With a plethora of international awards, this one is a must see and taste. Next, we’ll check into the winery’s slick and modern hotel with stupendous views of the vineyards and Mediterranean. Evening: Dinner tonight is on your own. Dine in the hotel’s gastronomic restaurant, or visit one of the more traditional Sicilian countryside restaurants that is a short taxi ride away. Selinunte was one of the most important Greek colonies. Morning: Our next venture will be a professionally guided visit to the ancient city of Selinunte, the only classical Greek city where the entire metropolis is still preserved. Founded by the Greeks in 628 BC, the site today is an active archaeological gem with scientists still discovering many facts about how the historical city functioned. Afternoon: Private tasting at another of the area’s super-star wineries. Evening: Tonight will a special experience for we’ll be the private guests at one of Sicily’s most regarded wineries at their beautiful estate in the countryside. The property, filled with heirlooms, has been in the family for many generations and offers a glance into the life of Sicilian nobility. Known for its history, culture, architecture & gastronomy. 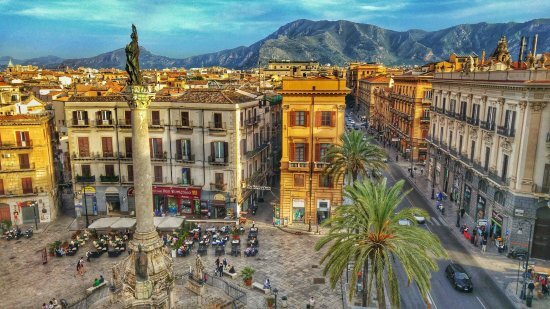 Morning: We’re off to Sicily’s amazing capitol, Palermo. There’s no place to better feel the heartbeat of this electrifying city than at its famous outdoor market where vendors battle with one another over who can shout the loudest to hawk their produce, fruit, fish and meat. It’s a morning you won’t forget. Afternoon: Next, we’ll visit one of Palermo’s jewels, a historical palace that is one of the oldest and most important buildings in the city. Last, we’ll check into our hotel, an old palace of a well-known wine family. 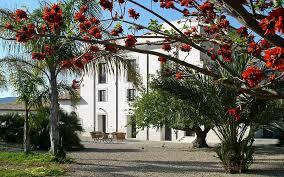 The “palazzo” has been completely renovated and turned into a charming small hotel. Evening: We’ll dine at a local spot, famous for its centuries-old recipes and locally sourced foods. 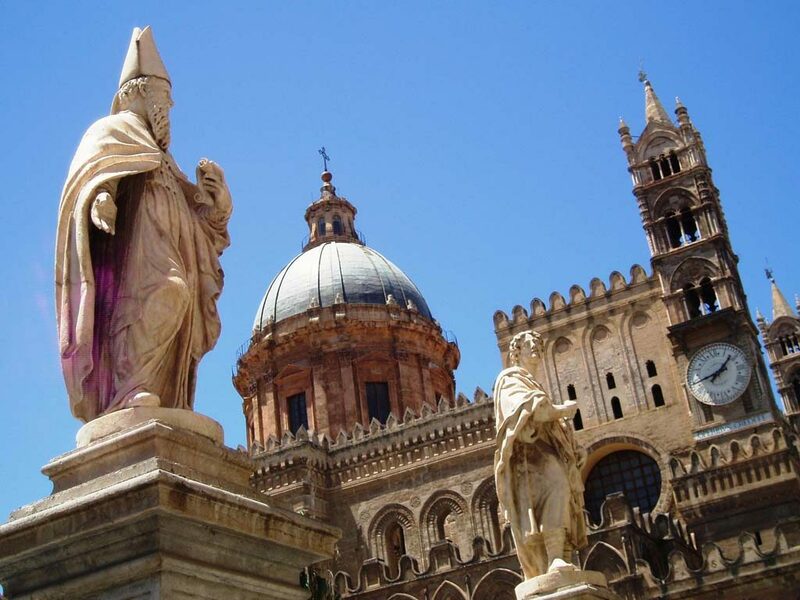 Morning: Walking tour of downtown Palermo with a local person “in the know.” In addition to the cathedral, we’ll visit another of the city’s iconic landmark, the spectacular Massimo Theatre as well as other important sites in the historic downtown. 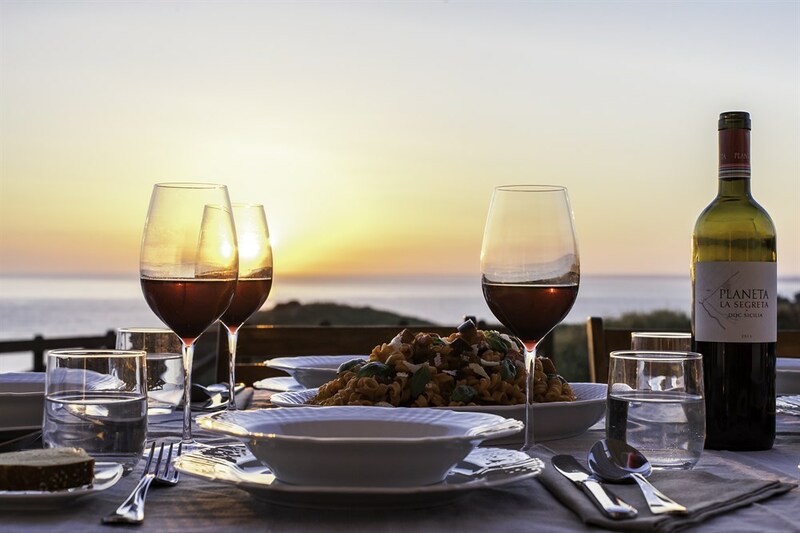 Evening: Our farewell dinner will be at a ristorante that is sure to please the most discerning traveler with gracious service, fabulous food, and a killer wine list. 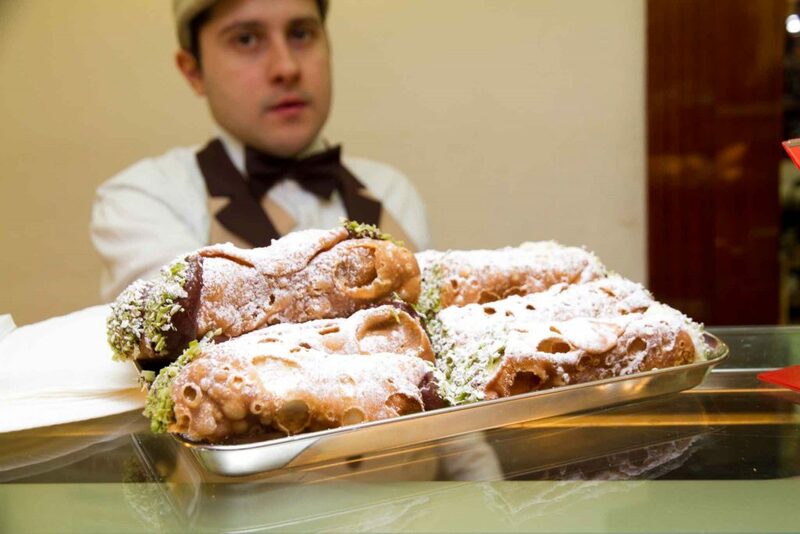 Enjoy last cannoli for breakfast. Morning: Trip ends. Transport to the airport can be arranged. The tour begins on the morning of September 28, 2020 in the resort city of TAORMINA (located <1 hr from the Catania International Airport). It is strongly advised that participants arrive in Taormina at least the day before to avoid any possibility of missed connections with the group. We will be happy to obtain early arrival hotel space for you in Taormina where there is a plethora of hotels. 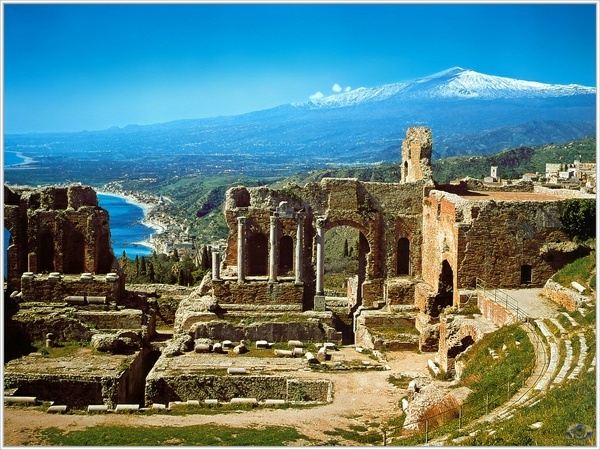 What about airfare to and from Sicily? Group airfare has purposefully not been included to allow maximum flexibility in arrival & departure options. You may go early & stay over after the trip concludes. Wine-Knows Travel, Inc. provides land only arrangements and does not provide airfare. Who are the people I can expect to be my fellow travelers on this tour? Our groups are composed of people from diverse occupations, singles & couples, men & women, a mix of young & old, well-seasoned international travelers, as well as novices. All have a common interest in food & wine. The majority of participants on our tours are repeat clients. In addition, each tour participant is a non-smoker. What accommodations will be used? One of the hallmarks of the Wine-Knows’ brand is finding unique properties, many of which do not allow groups. The lodging for the trip presents a mix of historic & modern. Most are 4 star properties & each one offers the best of what the area has to offer. Perfectly located 4 star palace across from the cathedral. Built out of the same stone as Sicily’s Greek Temples & the city’s famous Baroque palaces, this hotel is Sicilian style with traditional architecture including attractive courtyards & pretty wrought-iron balconies. Its comfortable rooms are spacious & well-maintained. A dramatic estate right out of a James Bond movie, this lovingly restored property from the 1700’s offers glamour, intrigue, and a slice of history that few get to experience. Perched on a hill, the property is owned by one of the most important wineries in Sicily. Wine-Knows has taken over this entire magnificent estate featuring 10 bedrooms that were carved out from the ancient winery. Working Olive Farm which exudes rustic elegance–you’ll be thrust into the heart of Sicilian family life here where the emphasis will be on conviviality & food. Rooms have been cleverly crafted out of different out-buildings: one an old railway station, another a centuries-old olive mill. There are many great spaces for relaxing in and outdoors, including a beautiful pool. Hip & modern with a touch of Old-World charm, this new wine lodge is owned by one of the most powerful wine families in all of Sicily. Offering panoramic views of the vineyards and Mediterranean, this cutting edge accommodation packs in all of the bells & whistles in its 14 rooms. There’s a glorious pool with a view of forever, and massage services can be arranged. A Palace in Palermo in the heart of the historic downtown. Owned by one of Sicily’s premier wine families, the “palazzo” has been converted to a small hotel of individual apartments. The residences are stylishly decorated mixing tradition with a modern flair. As this will be our last stop, having the extra space of a front room will be a definite added bonus for relaxing & packing. 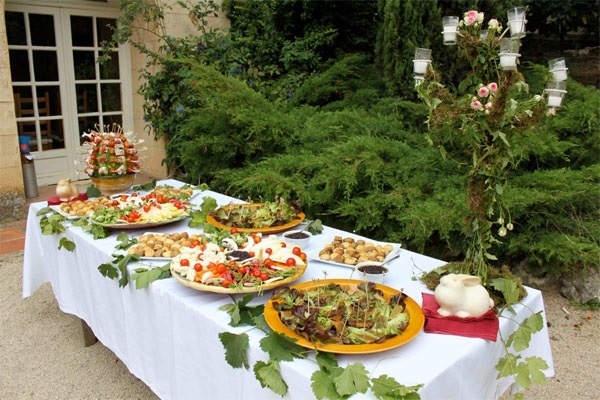 What culinary experiences will be offered? Dining experiences have been mindfully selected. Meals will be special culinary events ranging from sophisticated world-class restaurants, to simpler family-owned places or wine bars. Private winemaker dinners will also be featured. In addition to carefully chosen restaurants, this tour will feature foodie excursions such as an olive oil producer, Sicily’s premier chocolate-maker, and two colorful outdoor markets. A cooking class, taught by the owner of the olive estate, will also be featured. First, remember that Europeans dress much more formally than Americans. The tour will be casual dress during the day. Men should consider bringing a sport coat (tie optional) for dining at the more sophisticated restaurants. Women should bring a similar level of attire for the more formal dinners. Don’t forget to bring a swimsuit as some of our hotels have pools. Also, since we’ll be visiting many wineries during the harvest, non-slip shoes are imperative. Consider the following 3 rules of thumb to minimize the amount of clothing required: (1) Bring layers. (2) Use the mix-and-match principal (i.e. if it doesn’t mix or match, leave it at home.) (3) Use accessories to change the look versus bringing additional clothing. Daytime early autumn temperatures in Sicily average about 70 degrees so pack accordingly. While rain is unusual at this time of year, it never hurts to pack a small umbrella. What are my options as a single traveler? The price is based upon double occupancy. Should you wish to share a room, every attempt will be made to find you a roommate (most of the time we have been quite successful in doing so, however if we are unable to find you a roommate, you will need to pay the single supplement of $1,045 US. How much free time is available? We have provided free time as detailed in the itinerary. Furthermore, it is not mandatory that you attend all of the planned experiences, although most of our clients do! This is your trip—if you would rather sleep in, shop, or simply chill at a sidewalk café, then do it! Once the tour is over what are my options? The tour ends in Palermo which has an international airport, as well as train and bus service to other parts of Sicily. There is also overnight ferry service to the Amalfi Coast on the mainland. Yes. We accept payment through PayPal (PayPal.com). Since PayPal charges us a fee, this fee must added to the cost of the trip. A Deposit of $1500.00 US is due at the time of booking. A second installment payment of $1200.00 US is due by May 1, 2019. The third installment of $1,000 is due by November 1, 2019. The final payment is due by May 1, 2020. There will be a $100.00 US charge for late payments. Make all checks payable to Wine Knows Travel, Inc. Trust Account. A non-refundable fee of $250.00 US applies for all cancellations. Cancellations received prior to December 31, 2018 will be fully refunded less the cancellation fee. A 75% refund of the remaining funds will be made to those who cancel between December 31, 2018 and June 1, 2019. A 55 % refund of the remaining funds will be made to those who cancel between June 2 and November 1, 2019. A 25% refund of the remaining funds, if any, will be made to those who cancel between November 2 and May 1, 2020. There are no refunds for cancellations after May 1, 2020. Trip cancellation insurance is strongly recommended and can be purchased for a nominal premium. Cancellation date is determined by the date notice of cancellation is received by Wine Knows Travel Inc.